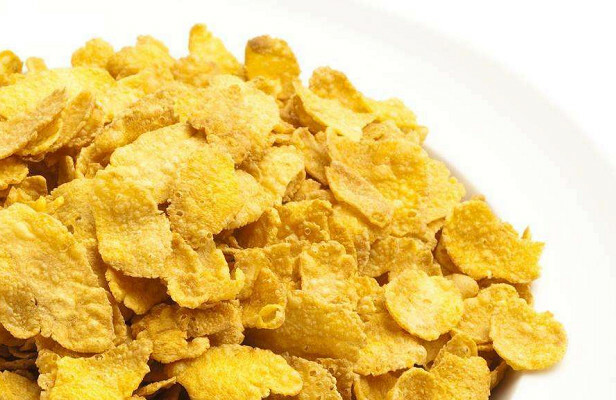 Corn flakes are a low-calorie, high-dietary fiber-based nutritious convenience food. They are rich in thiamine, riboflavin, carotene and other minerals such as vitamins and magnesium. The content of essential amino acids in total protein is higher than that. Rice and fine powder. China's corn production ranks third in the world, with a total of 95 million tons in 1992. The development of corn food has abundant resources. Domestic corn flakes are produced by steam cooking, hot air drying, tableting, baking, and extrusion processes. The production is intermittent, with low yield, high labor intensity, and poor sanitation and sanitation. Germany's B ule r m iag has designed a corn flake production line for some countries and also uses a steaming process. Microwave drying machinery technology has been applied to food processing since the 1960s. It has been rapidly developed in the past decade and is widely used in freezing softening of food, food drying and cooking and sterilization. However, research on the processing technology of corn flake processing has not been seen. It is reported that we have done a lot of experimental research on the microwave cooking process of corn flakes, and at the same time changed the traditional cooling and drying equipment into a high-efficiency vibrating multi-level horizontal garden motion cooling and drying device to realize the continuous industrial production of corn wafer microwave processing. The key to obtaining the desired flakes is to control the moisture and temperature of the flakes. The moisture and temperature of the jade plants after microwave cooking must be cooled and dried. The traditional processing method is natural cooling and long cooling time. For industrial production, a belt-type cooling dryer is used. This procedure requires a h3 operation from breaking to cooling to drying. The process uses a spiral vertical vibrating feeder and a vibrating multi-layer horizontal circular motion cooling unit to form a conveying, cooling, and drying unit, which effectively improves the drying efficiency, and the material is only 18 m in the running time of the unit. Since the microwave energy can penetrate into the interior of the material, the 9 15M Hz microwave can penetrate the food material to a depth of 30cm. The material itself is the heat source, and the heat is not transferred from the surface to the inside. Therefore, the drying speed is fast, generally only the conventional method is 10-1. The heating and drying process can be completed in % time. At the same time, the microwave heating heat comes from the inside of the material, and the heat loss in the surrounding air is less, which is 2 to 4 times higher than the conventional heating method. .2 .5 2 Heating is uniform, the product quality is good. The microwave medium heating heat source is dispersed inside the material to be heated. It is heated from the inside of the material and has automatic balance. Even if the shape of the material is complicated, the heating and drying is uniform. Conventional heating is prone to the appearance of external coke, and microwave heating also has a bactericidal effect, which extends the shelf life of the product. Microwave heating has less thermal inertia, and it can be operated normally without a warming process after driving. The microwave power transmission speed can be steplessly regulated, the reaction is sensitive, and it can be instantaneously controlled, thus making corn film production continuous. The microwave heating drying mentioned above is closely related to the properties of the material. The microwave is easy to heat and dry for the medium with high dielectric constant, and the dielectric constant of water is particularly large. When f is 3000Hz, t = 25 °C, the dielectric constant is up to 76.7, the water in the material can strongly absorb the microwave, the heat absorbed by it is larger than the material, the water is easy to evaporate, the heat absorbed by the material itself is less, the heat is not easily caused, the loss of nutrients is small, and the color is good. Generally, a few hundred to several tens of water can be effectively dried by microwave heating.